Musaicum Books presents to you this carefully created volume of "The Greatest Poems of John Donne". This ebook has been designed and formatted to the highest digital standards and adjusted for readability on all devices. Content: A Valediction Forbidding Mourning; The Flea; The Good-Morrow; Song : Go and catch a falling star; Woman's Constancy; The Undertaking; The Sun Rising; The Indifferent; Love's Usury; The Canonization; The Triple Fool; Lovers' Infiniteness; Song : Sweetest love, I do not go; The Legacy; A Fever; Air and Angels; Break of Day; [Another of the same] [Break of Day]; The Anniversary; A Valediction of my Name, in the Window; Twickenham Garden; Valediction to his Book; Community; Love's Growth; Love's Exchange; Confined Love; The Dream; A Valediction of Weeping; Love's Alchemy; The Curse; The Message; A Nocturnal upon Saint Lucy's Day; Witchcraft by a Picture; The Bait; The Apparition; The Broken Heart; The Ecstacy; Love's Deity; Love's Diet; The Will; The Funeral; The Blossom; The Primrose; The Relic; The Damp; The Dissolution; A Jet Ring Sent; Negative Love; The Prohibition; The Expiration; The Computation; The Paradox; Song: Soul's joy, now I am gone; Farewell to Love; A Lecture Upon the Shadow; A Dialogue Between Sir Henry Wotton and Mr. Donne; The Token; Self-Love "A Valediction: Forbidding Mourning" is a metaphysical poem written in 1611 or 1612 for his wife Anne before he left on a trip to Continental Europe. 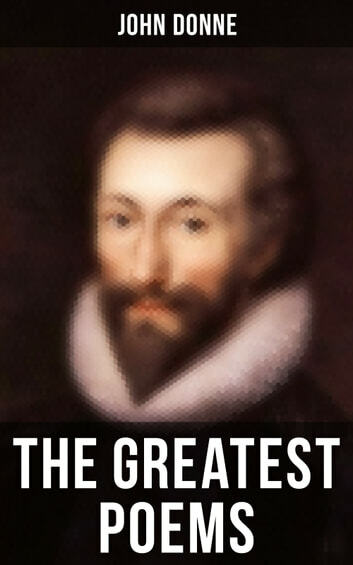 John Donne (1572–1631) was an English poet and cleric in the Church of England. He is considered the pre-eminent representative of the metaphysical poets.